This review is brought to you in part by Nutz n Boltz. 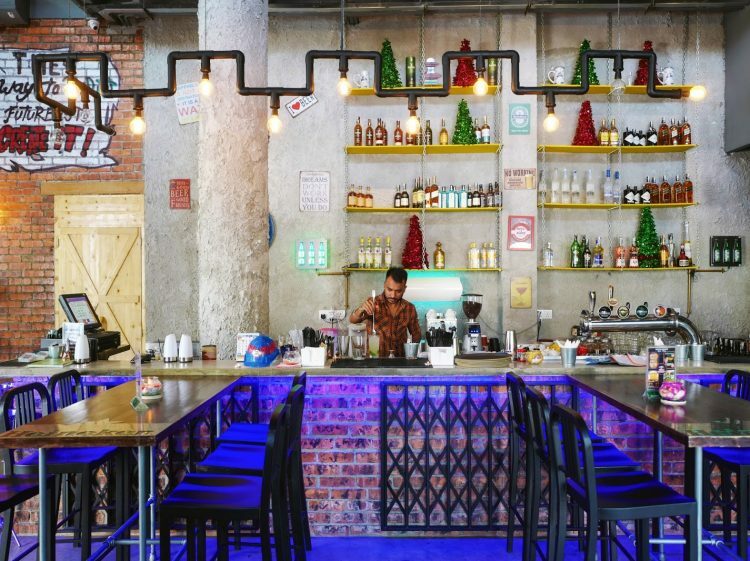 ‘Where Family & Friends Meet’: Feel-good vibes run through the foundation of Nutz n Boltz, which lives up to its billing as ‘a snazzy restobar’, bringing a cool, colourful sense of fun to Desa ParkCity’s Plaza Arkadia. 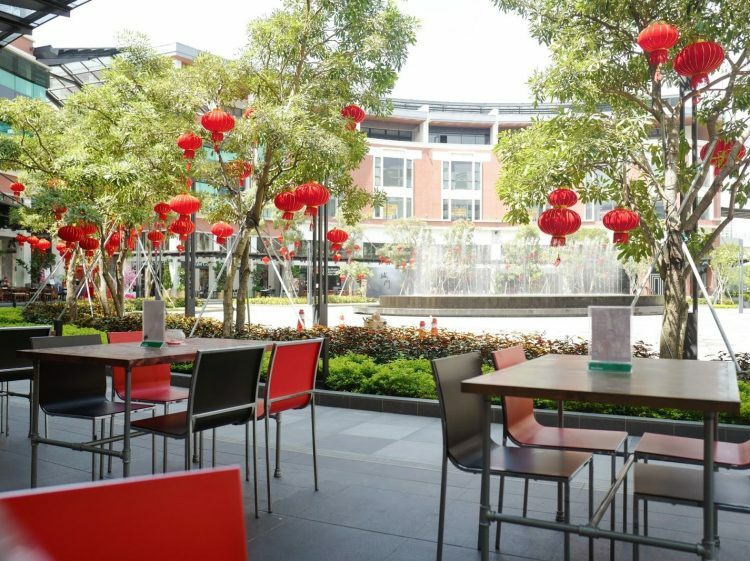 It’s a welcoming venue; we enjoyed sitting outdoors, chatting over a cheerful selection of food and beverages on a sunny afternoon. 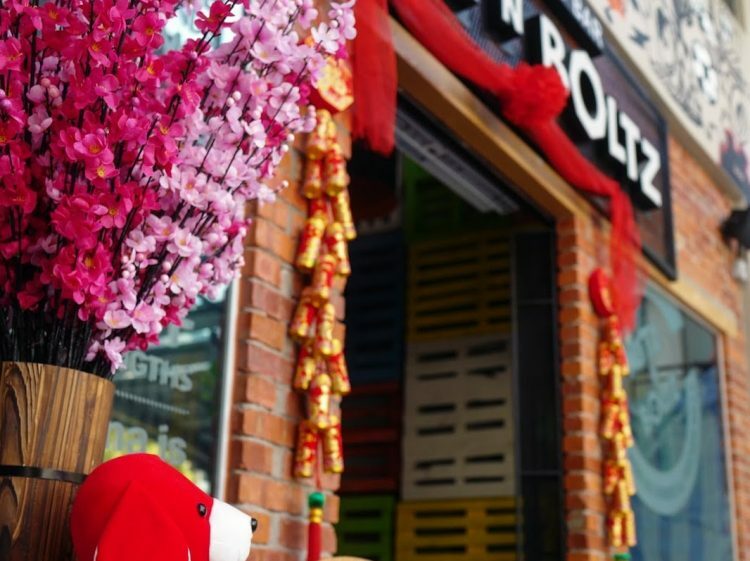 This is Nutz n Boltz’s second outpost (the first is in Bandar Puteri Puchong), so the team here has fine-tuned an extensive menu that marries crowd favourites with little twists that make a big, delicious difference. 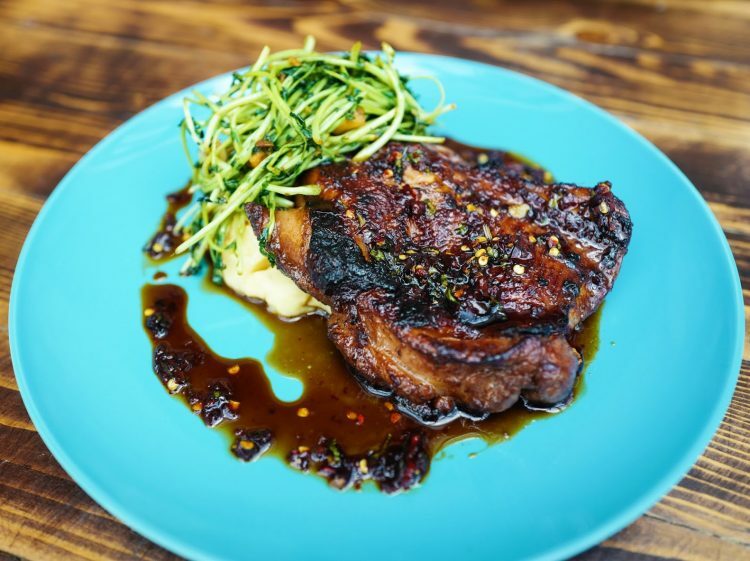 You won’t go wrong with dishes like the Chicky Jerk, which may sound Jamaican-inspired but showcases a sweet, pleasantly flavourful hoisin rub instead, well-balanced with sautéed pea sprouts and mashed potatoes (RM 28). 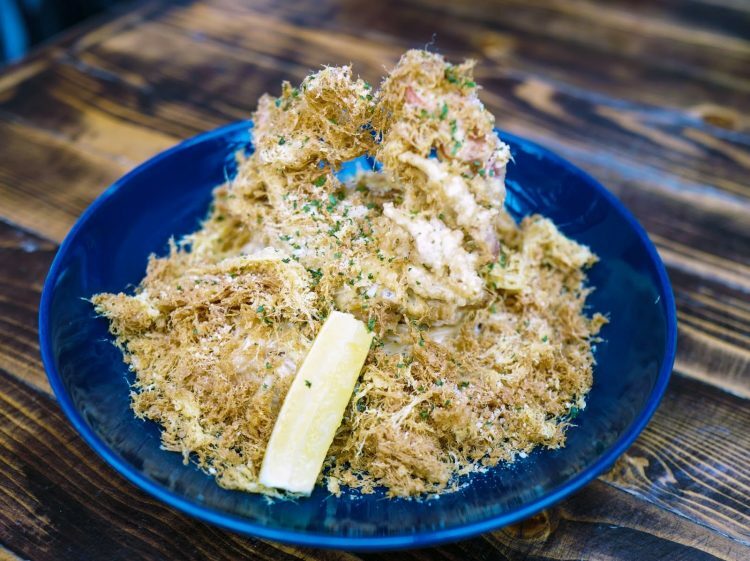 The Soft Shell Crab Buttermilk Linguine (RM 26) offers a distinctive way to savour pasta, flooded with egg floss to immediately seize attention, crowned with a whole, substantial deep-fried soft-shell crab. It’s a garlicky recipe that comes together nicely, with lots of varied textures to relish. Yes to egg floss pastas! 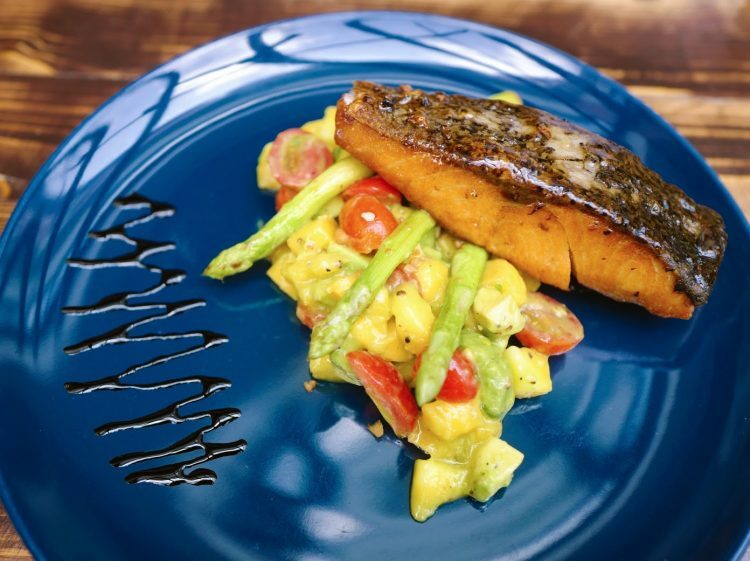 The Apricot Glazed Salmon (RM 38) is a safe choice, with the nuances of fruit and fish blending harmoniously, rounded out with asparagus and a creamy mango-avocado salsa. 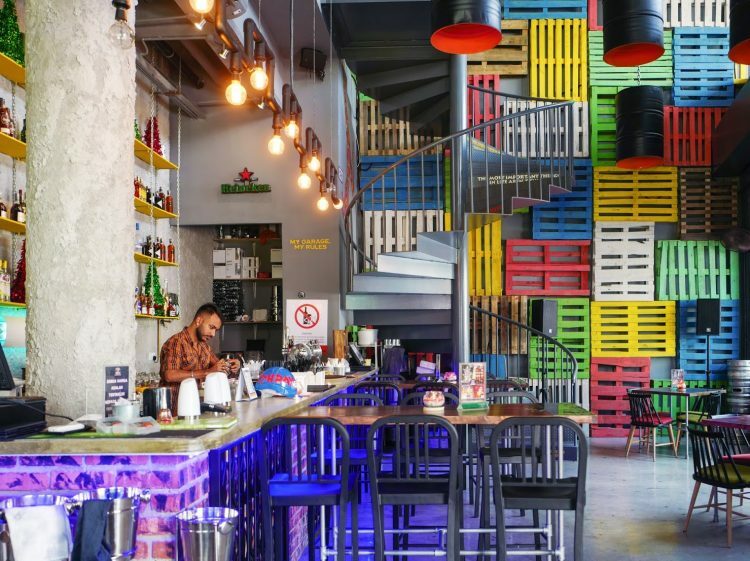 With dozens of dishes on the menu, there are bound to be numerous Asian temptations too, from chicken satay to mamak mee, with a few fusion creations like a chana tikka salad and mutton masala pizza. 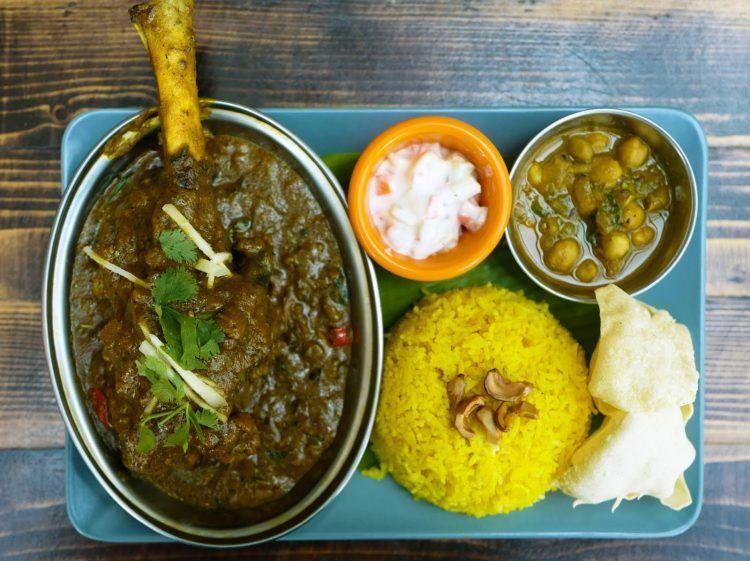 The Lamb Shank Madrasi (RM 35) is evidence that Nutz n Boltz does justice to South Asian specialities – it’s hearty and tasty, underscored by robustly tender meat that’s richly complemented by everything else on the platter, including chana masala, raita and pulao rice. 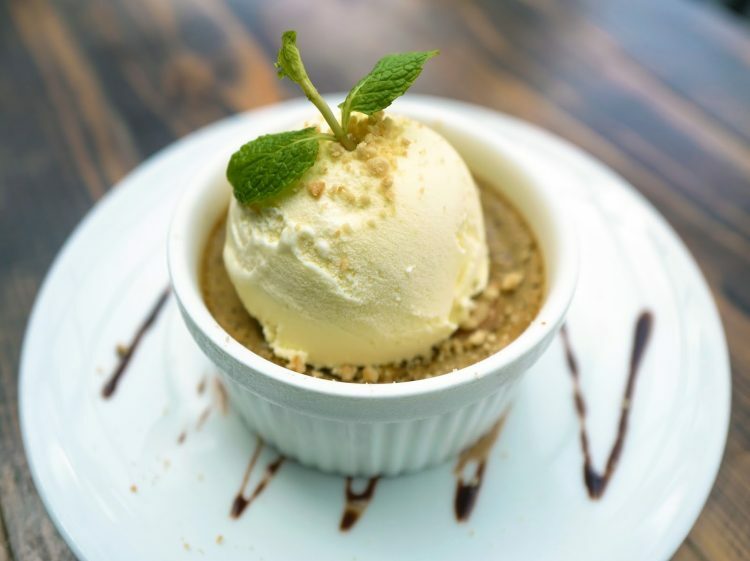 Complete your meal with Nutz n Boltz’s take on the Sri Lankan coconut custard pudding of Watalappan, topped here with ice cream (RM 16). 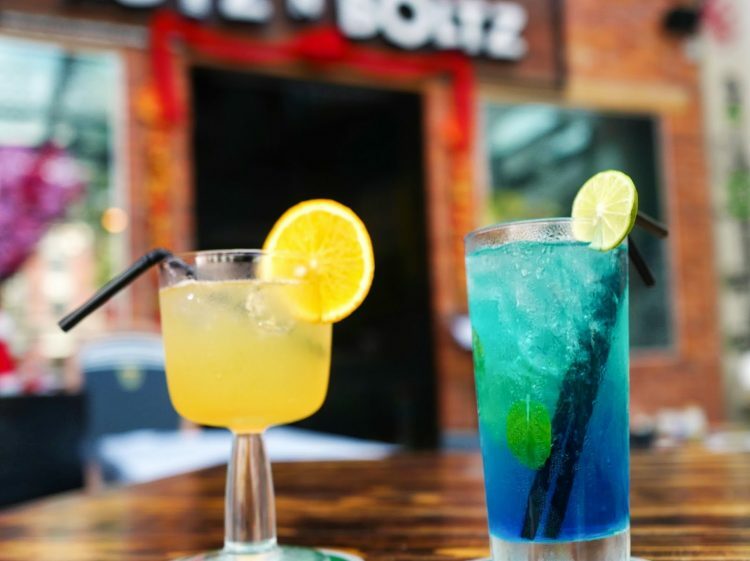 For cocktails, there’s no shortage of possibilities, from the refreshingly fruity Nutz n Boltz, which combines Midori, Malibu, peach liqueur and orange juice (RM 45) to the Blue Long Island, which infuses an azure allure to the traditional Long Island (RM 30). 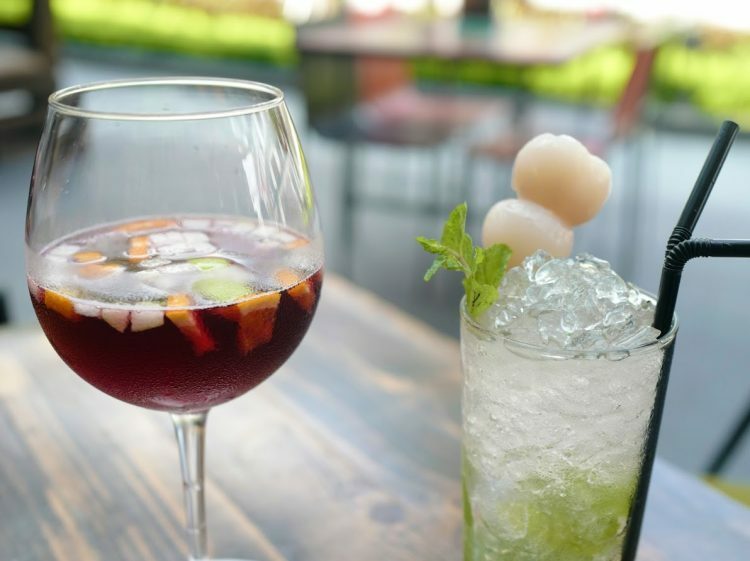 The Lychee Rose Mojito (RM 25) and Watermelon Sangria (RM 20) bring a contemporary update to the Cuban and Spanish classics. 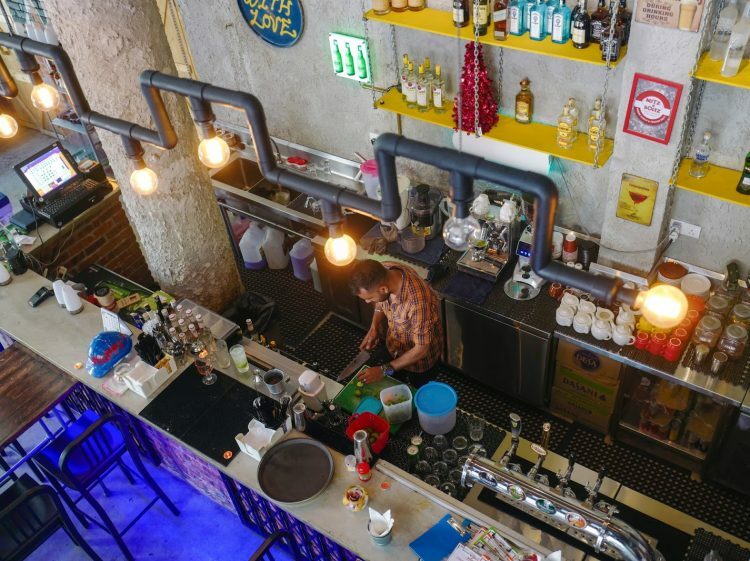 Service is warm and efficient; outlet manager Kamal, bartender Joy and the rest of their team make a clear effort to ensure patrons leave happy. Thanks to Nutz n Boltz for having us. 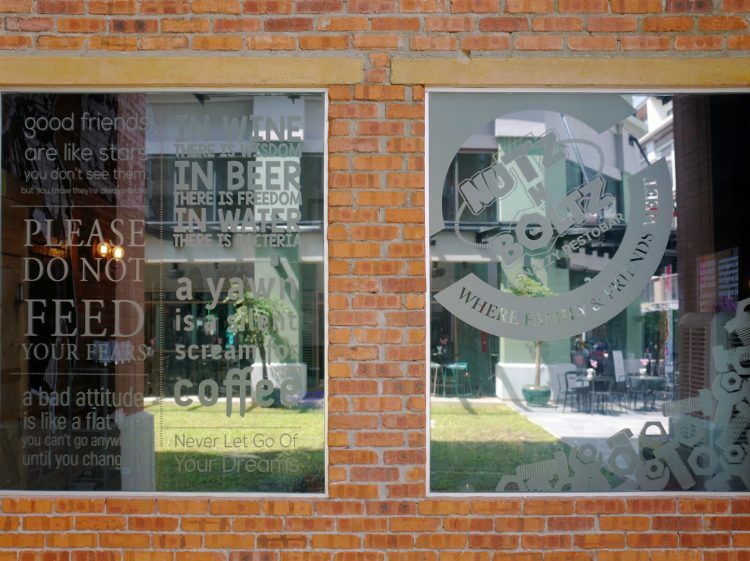 Find: View directory for Nutz n Boltz here.